The Samir Kassir-Center SKeyes Foundation, the French media cooperation agency CFI and Adyan Foundation recently published results of their project and a research on diversity in the media in Lebanon, Syria and Iraq. At the closing conference held in Beirut on 18-19 October, the Media Diversity Institute (MDI) representative contributed to a debate on post-conflict reporting. One of the questions discussed at the conference in Beirut was whether the role of the media is limited to reporting the facts or journalists should actively contribute to a certain vision of society. "The objective is not to ask journalists to bring peace or avoid conflict, but to contribute to the emergence of conditions that are more conducive to dialogue, through a better quality of information avoiding generalisations and stereotypes,” states the Samir Kassir Foundation in its preface to the study on diversity in the media in Lebanon, Iraq and Syria. Talking about the results of the study, the Foundation’s Executive Director Ayman Mhanna said to MDI that the situation in the media in those three countries is not similar. “The relative calm political and security situation in Lebanon is reflected in the media coverage that is less divisive on the issues of diversity. More than in Iraq and Syria, the Lebanese media portray diversity as a source of richness. However, in the Lebanese media stereotypes are still widely present and diversity is only reflected in stories about politics. Religious and cultural diversity is not truly reflected in other types of news. In Syria and Iraq, the conflict situation creates a climate where media outlets perpetuate divisions and have a very negative portrayal of diversity,” explained Mhanna in an interview for MDI. Mhanna’s team within the SKeyes Foundation, Adyan and CFI noticed a strong correlation “between articles that respect the basic journalistic standards of multiplying sources of information, verifying facts and avoiding stereotypes on one hand, and presenting diversity as a source of richness on the other”. "Articles that do not respect the basic journalistic standards often show that diversity is a source of threat,” says Mhanna. Therefore, stresses Mhanna after analysing the media situation in Lebanon, Iraq and Syria, the first set of recommendations touches upon building the capacity of journalists and editors to follow basic standards of good journalistic work. The Samir Kassir Foundation’s Executive Director believes that this would solve many problems in terms of how diversity is depicted. “In Lebanon, we have also recommended to focus on how religious and cultural diversity plays out at the social level, in cultural activities, in local manifestations. In Iraq, we have urged journalists to uphold some standards that have already been issued by the authorities and journalists' associations. In Syria, there is a stronger need for training media outlets on how to edit opinion pieces so that they are not a conduit for hate speech”. Presenting results of their study, these three organisations – SKeyes, Adyan and CFI also presented journalistic awards for promoting diversity. 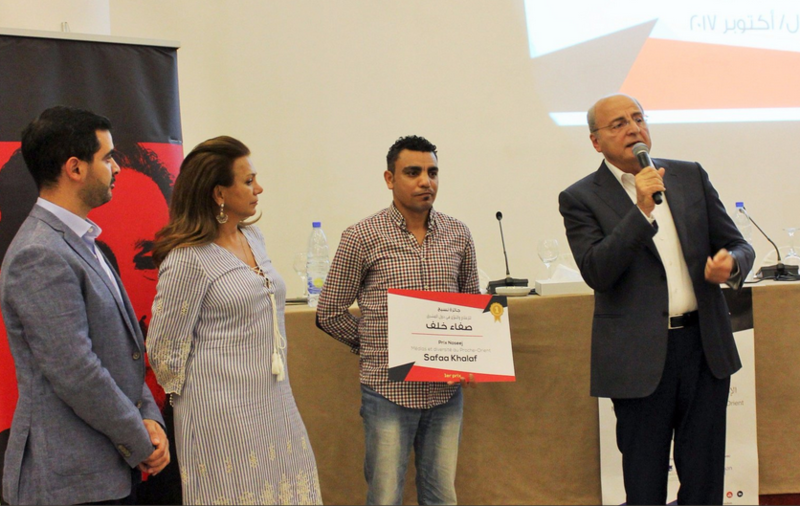 The first prize went to the Iraqi journalist Safaa Khalaf for his article about Mosul.